Hello everyone and welcome to this weeks Color Throwdown Challenge!!!! Melody is our hostess and she has picked such pretty colors...lots of possibilities with this combo!!! I dug through a bunch of seldom used stamp sets and picked out three for this card. The A Muse set called Seasonal Branch was used for the branch which was stamped with basic gray, the leaves were stamped with gumball green, and the flowers were stamped with melon mambo. 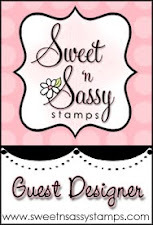 The little owl from the Stampin Up! set called Aviary was stamped with melon mambo, and the sentiment is from PTI's Birthday basics set. The pearls and ribbon finish it off. Pretty simple but a a perfect birthday card for mailing!! 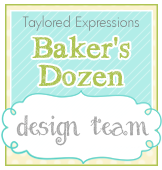 Remember, you don't have to use the exact colors.....use what you have as long as they are close to the challenge colors and be sure to add CTD288 to the keywords section when you upload your cards to an online gallery so we can find your creations!! Thanks for visiting....I hope you have a super wonderful day!!!! oh my totally love.. great color combo and that little owl is too cute..
Sweet card Joan. Love the CAS look. 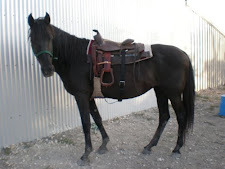 Don't you just love it when you can use what you've had forever, and create a masterpiece? This is so precious, Joan! 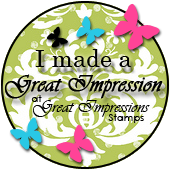 I love every little thing about it, from your ink choices, to your cute stamps, and, of course, who can resist an adorable CAS creation? Great job!!! This is such a sweet birthday card! Love the branches and the PINK owl - lol! I need to do more digging into older sets...just not enough hours in the day! Have a happy and blessed Easter, Joan! Your birthday card is so sweet. Love the bright pink blossoms on the tree branches. Very sweet card Joan, great layout and colors. So sweet!! !Love the sweet owl! I just love those sweet flowers, Joan! Gorgeous CAS card! Hi Joan! love that sweet little owl happily perched among the flowered branches! Wishing you a Blessed Easter my friend! Toooo cute, Joan! Love those dainty flowers on the branches and the darling owl! This is so, so cute, Joan! 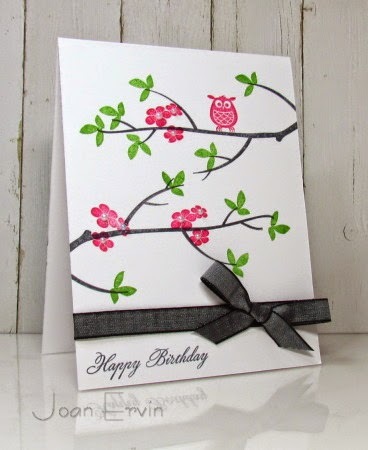 I love that little owl and you created such a beautiful one layer card! 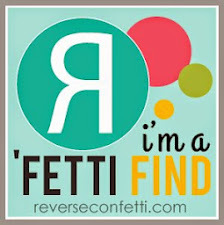 I'm also very excited to be featured on your blog this week, thank you! Okay, so I am in love with owls!! Too cute and great how he matches the flowers too! Great bow treatment too!